People say you should never burn bridges but sometimes it might make sense. The other night while the boo was sleeping, I was feeling especially, I don’t know, sentimental. But not sentimental in a way that made me sad or angry. I was more reflective than anything else and grateful for where I am today. And, whenever one reflects on where they are, they almost inherently reflect on where they’ve been. You know how people always say “be careful not to burn any bridges?” They suggest you not burn any of them. Like none…at all. Quite an interesting concept that is. To warn someone not to “burn” a single bridge, meaning a relationship whether platonic or otherwise, almost implies that every connection we have to one another is as fragile as a wooden structure. Like our relationships are in danger of water damage, termites, or degradation of the passing time. I have a hard time with that concept. I guess I am what you would call an avid bridge burner. Once someone seems like a creeper, backbiter, liar, sneak, cheat, slanderer, etc., I cut them loose. And I cut them loose quick. I find it easier to do so than to linger in awkwardness until neither person realizes why they’re holding on anymore. I’ve done that. A lot. And I have just decided not to do it anymore. And what’s wrong with that? Yes, I am a Christian. Yes, I still love them. I love everyone. But I don’t want to have them in my space bubble if I know they have a dagger aimed at the center of my back. I don’t want to sit and watch Steel Magnolias with them if they’ve laced my Kleenex box with cyanide. How does that make me a bad person? It always gets me when I hear the phrase “never trust someone with no old friends.” I mean, c’mon now. Maybe we are talking about folks who used to spend their free time fishing in the local lake or rocking in a chair with hay in their mouth. But now-a-days, old friends are a thing of the past. Most of the people I know with an abundance of “old friends,” meaning they still regularly hang out with everyone they knew in grade school, can do that because they’ve not experienced the world, have lived in a bubble, or haven’t really changed much themselves. Don’t old friends indicate old nature? Wouldn’t you have to be doing the same old stuff with the same old people to have the same old friends? Anyways, I digress. I don’t have too many old friends. I keep a small unit of g’ed up homies that I can trust no-matter-what around me at all times. And, I like it that way. No drama. No awkwardness. No hatred. And the best part, no passive aggression. You know, none of those people around who secretly envy, hate, or want to be you making you feel all weird. Let’s be clear here though, I am all for hanging with birds of a feather. But, my suggestion is, if you look around and everyone’s feathers look dull, bland, washed out, and tattered, you might want to up your expectations a bit. I burn bridges like that. The ones made from wood. I like to seek out bridges made of bonafide steel. I don’t want to walk on a bridge covered in hazard signs, weak rope, worn webbing, or snaggle-toothed steps like in that Indiana Jones movie with the crocodiles and crazy people in the jungle. I don’t want a bridge that has to be reinforced every six months and is in constant need of repair. 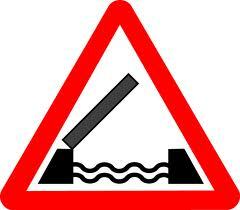 I don’t want a bridge that has been known to buckle under pressure. I don’t want a bridge that gives out when you need it most. 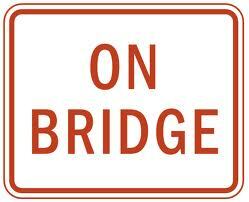 I don’t want a bridge that only works when coaxed to do so. And, I definitely don’t want a bridge where I can’t see whats on the other side. So, I say, burn them bridges. Yassss! Burn them bridges. If they’re worth having you can build them in alloy. You can build them in steel. 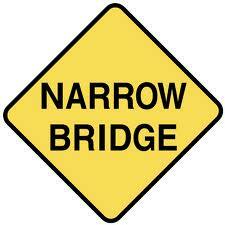 You can compromise on a shorter route so the bridge’s terrain isn’t so treacherous. You can work together to meet in the middle. You can build them wider not narrower. You can build them shorter not longer. Build your bridges where they count the most. Build your bridges so they can carry you over the deepest most dangerous waters. Build your bridges where you’ll know they always keep standing. Build your bridges where you’ll never have to build them again, cause they’ll stand the test of time. And most importantly, build your bridges on solid foundation. someone who constantly runs from you. Don’t be there alone. Don’t build a one way bridge. 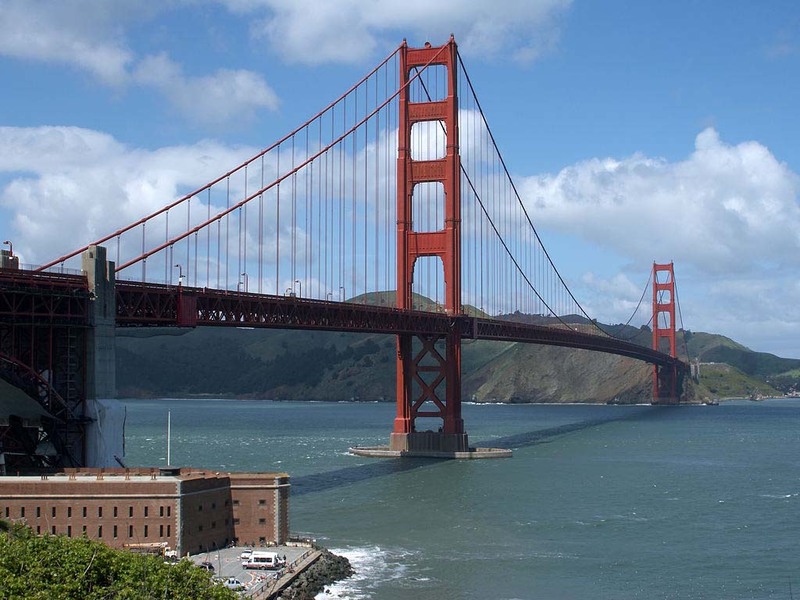 Because truthfully, that isn’t a bridge at all. It is a path to your demise. Now, you’re wondering, “how will I know when a bridge is made of wood or steel?” The truth is, sometimes, you won’t. Sometimes, the bridges that look like steel end up being spray painted when you get up close. Once you scratch the surface a little, the shiny exterior chips right off.